Topdiode Manufacturing Company is a leading manufacturer and supplier of a wide range discrete components and capacitors in China. Discrete Semiconductors include Rectifier Diode, Switching Diode, Zener Diode, TVS Diode, Schottky Diode, Bi-directional Trigger Diode, Fast Recovery Diode, Bridge Rectifier THT & SMT, Small Signal Transistors; and capacitors range includes CA42 Dipped Tantalum Capacitors, CA45 Chip Tantalum Capacitors, CL21 Metallized Polyester Capacitors and CT4 multilayer ceramic capacitors. Topdiode serves the consumer electronics, computing, communications, industrial markets, and military application. 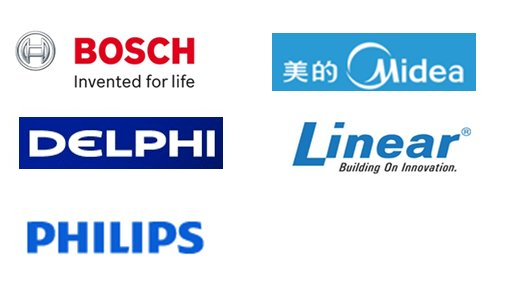 For detailed Company Profile, Cross Reference, Full Part List, Topdiode Catalogue, please visit Literature Download. Company headquarters, manufacturing facilities, design & engineering center are located in Hunan Province & JiNan, ShanDong Province since 1996. Sales office & warehouse center are located in Dongguan China. The Company's manufacturing facilities have achieved the Quality Awards of ISO-9001:2008 & ISO14001: 2004 certification. Product focus is on high-growth end-user equipment markets such as TV/Satellite set-top boxes, portable DVD players, monitors, speakers, energy-saving lamps, microwave ovens, printers, datacom devices, ADSL modems, power supplies, power meters, medical devices, PCs and notebooks, flat panel displays, digital cameras, mobile handsets, AC-to-DC and DC-to-DC conversion, Wireless 802.11 LAN access points, brushless DC motor fans, small household electrical appliances and other fields.